J2 Innovations is a fast growing, innovative software development company based in California that created FIN Framework, which is a state-of-the-art open framework for building automation and IoT applications. 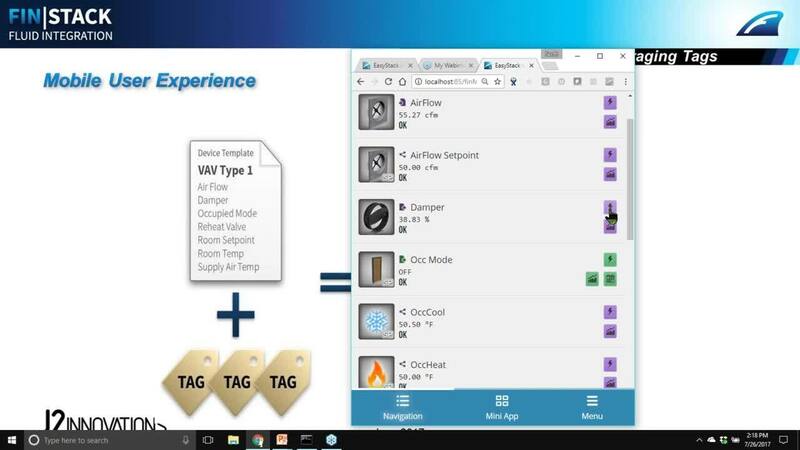 Responding to the market demand for easier to configure and use solutions for managing buildings and IoT applications, the J2 Innovations team have been laser focused on usability and automating what were previously labor intensive engineering tasks. We are a software technology business which created FIN Framework, which is aimed at OEMs; manufacturers of products or systems that are used in buildings. Our proposition is that it is more efficient and sustainable to develop world class software and license it to many businesses rather than each one "re-inventing the wheel" again and again. FIN is designed to be highly customizable, so that our partners can bring a unique solution to market, tailored to their exact requirements. In North America, Systems Integrators can buy a branded version called FIN Stack via one of our distribution partners. Specifying FIN on new projects is a smart move as it helps future-proof your building or campus. This is because FIN Framework is natively based on the Haystack semantic tagging standard, which enables much better use of the data flowing from the buildings systems to improve operational & energy efficiency, space utilisation and employee productivity to maximise the return on the investment. Click here for more about Project Haystack. Typically the control specialists installing and commissioning the HVAC, lighting and other automation systems in buildings have to spend a lot of time manually testing the installation. FIN 4 enables automatic testing for commissioning and reporting.